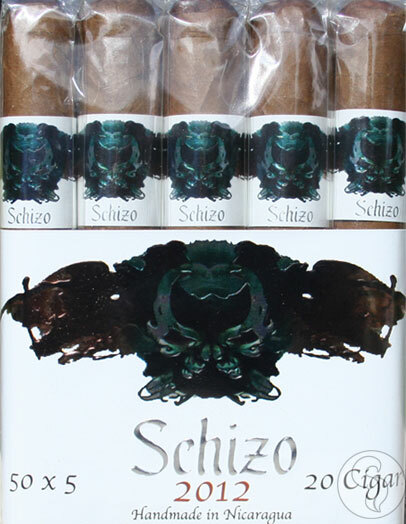 Mild-to-medium in body, the Schizo bundle is part of the new Asylum line from Christian Eiroa (formally of Camacho) and Kevin Baxter. Priced competitively for those who like to watch their cigar budget, you would never know that this cigar has short filler based on how well it smokes. Enveloped in a creamy-coloured EMS wrapper, the Nicaraguan fillers and binder provide light spice, hints of cocoa, leather, and cream, there is plenty of flavor to be enjoyed. Done in the "Cuban sandwich style", this cigar is ideal for those who love a great cigar at an even better price.